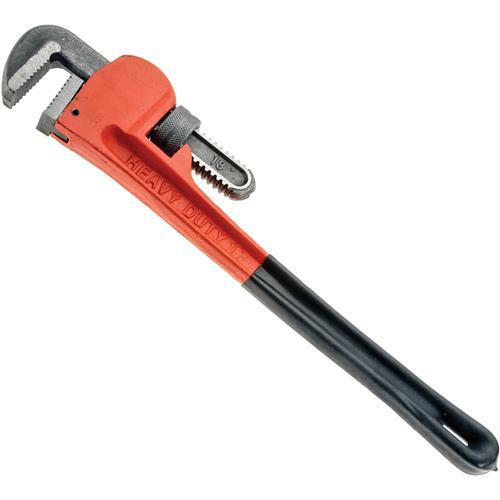 Heavy cast-iron construction, paired with extra tough hardened steel jaws, makes this pro-quality pipe wrench ideal for the shop or home. The thick foam-coated handle is extra-long for added leverage. Machined steel lower jaws are removable for sharpening.